When you are a young lad and obsessed about sport, as I was in the 1980's, and if you were lucky enough to have the 'foreign channels' - in other words, BBC, ITV and Channel 4, the door was open to follow new heroes in different sports. I worshipped the Republic of Ireland soccer team, Barry McGuigan and Barney Rock back then, but I also idolised Steve Davis, Glenn Hoddle, Ian Botham and Eric Bristow. The sad and sudden death of Bristow from a heart attack at the age of 60, just weeks after the passing of Bullseye host Jim Bowen symbolises the end of an era in ways. 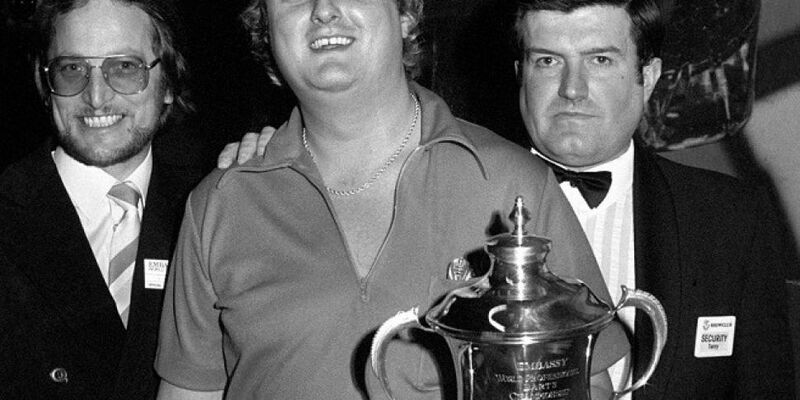 Promoter Barry Hearn has made Darts a marvellous contemporary success story, orchestrating the perfect balance between exciting skill on screen and great entertainment, but Bristow, through his force of personality, was the man who put it on the map. This was a time when there wasn't satellite television or huge prize money. In many ways, Londoner Bristow, the 'Crafty Cockney' as he was known, epitomised 1980's Britain. He was brash, cocky, flash, clever and a winner. He was the ordinary chap from down the pub with a special talent, bags of charisma and readies in the pocket that appealed to the masses. They identified with him because they felt they were just like him. They also loved to hate him, but part of that was pantomime. It was an era of great characters and players - Jocky Wilson, Bobby George, John Lowe. Bristow won 5 world titles before the age of 30, and after his final victory in 1986, he would never win another. He developed the 'yips', but could still mix it with the best. He also paved the way for his protege Phil Taylor to dominate the sport, giving Taylor the support he needed to rise within the game. In recent years, Bristow mixed TV analysis and celebrity appearances with exhibitions. His comments last year about the victims of the Barry Bennell football abuse case were ill judged and clumsy, but I don't think that's how he should be remembered. I will remember Eric Bristow as the man who inspired me to buy a Winmau dart board and 'Crafty Cockney' darts and flights which all led to the back of my bedroom door being a canvas for small bullet holes. I wasn't very good from the oche. He was.